conventions, corporate events and more. 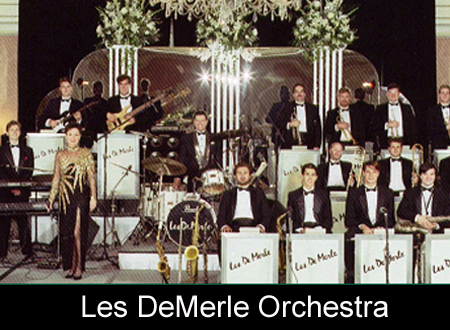 Dynamic Les DeMerle Orchestras featuring Bonnie Eisele. They are truly a class act." virtuosos) like Buddy Rich and Louis Bellson have manned that post (before him)." fire and energy. With his dynamic stage presence and Bonnie's great vocals, this is a really hard act to follow."